You don’t have to live with the annoyances of benign prostatic hyperplasia. There are successful treatments, including the UroLift® System. No need for frustration or self-consciousness. There are ways to treat ED and restore your well-being. Urinary incontinence can be an inconvenient and embarrassing problem, but It’s not an inevitable curse. There are ways to deal with it and treat it. From the moment you walk in, you'll know that expert care is our top priority. We keep up with innovating technologies to give our patients only the best care. We offer extended hours for patients at both convenient locations. The first step to finding relief for Benign Prostatic Hyperplasia (BPH) is knowing what to look for. Test your knowledge by taking our simple quiz to quickly understand the severity of urinary symptoms caused by BPH and be sure to consult with a physician, such as Dr. Paul Kenworthy, to help you decide on the treatment that is right for you. 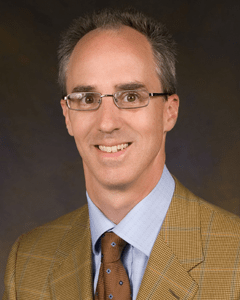 Dr. Paul Kenworthy is Board Certified in Urology and has over 20 years of experience successfully treating a variety of urologic issues for both men and women. His special focus on urinary incontinence, benign prostatic hyperplasia, and erectile dysfunction makes him the doctor to see in The Woodlands, Huntsville, and all surrounding communities for urological care in Texas. Schedule a consultation to let Dr. Kenworthy learn about your urological issues so that you can learn about the solutions. Consult the specialist with the answers, Dr. Paul Kenworthy.